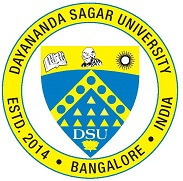 Dayananda Sagar University has announced the DSAT 2019 Important Dates for the aspirants who are looking for admission into various UG and PG programmes. It is advised for an applicant to check the important dates for the DSAT 2019 Exam. When will the forms for next exam will be available? The Application Form for DSAT 2019 is expected to be available from December 2018. What is the expected date for result?